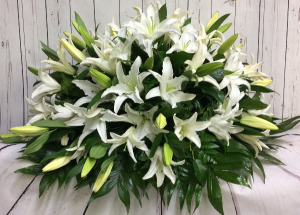 Fragrant White Oriental Lilies combined with dark green lustrous greens. 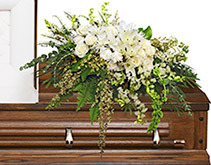 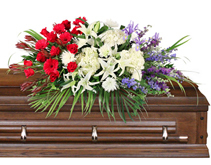 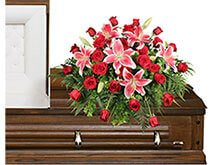 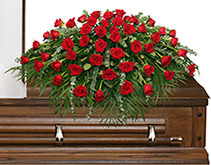 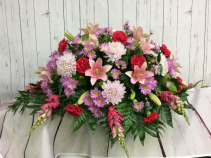 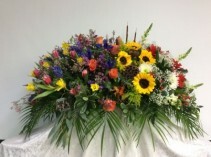 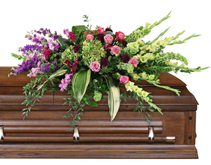 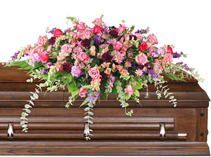 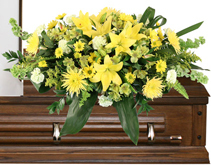 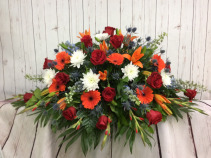 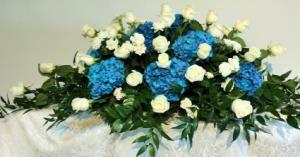 The one pictured is a half casket spray the higher price point is for a full casket spray. 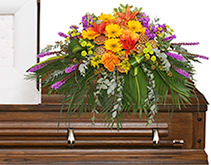 Soothing lavenders accented with rich deep pinks adorn this casket spray.